Do you guys remember Pat the Bunny? 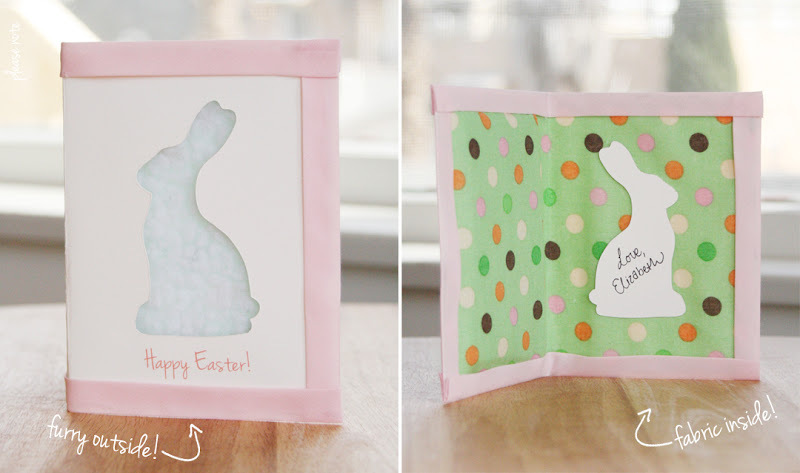 I loved that book when I was a kid, and this card brings back memories of it... that's why this is the perfect Easter craft to make for or with the kid in your life! 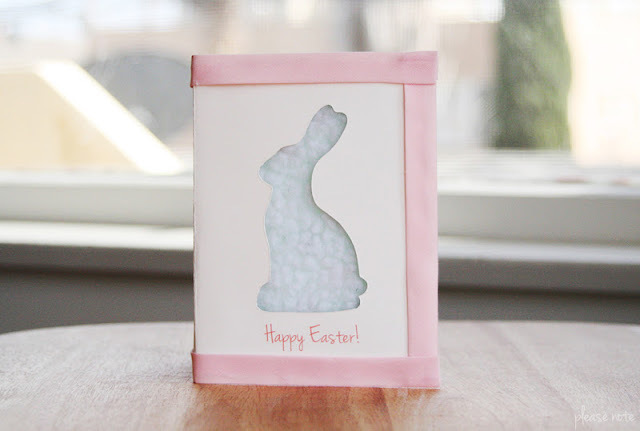 Start by printing the free printable Easter card (found here). 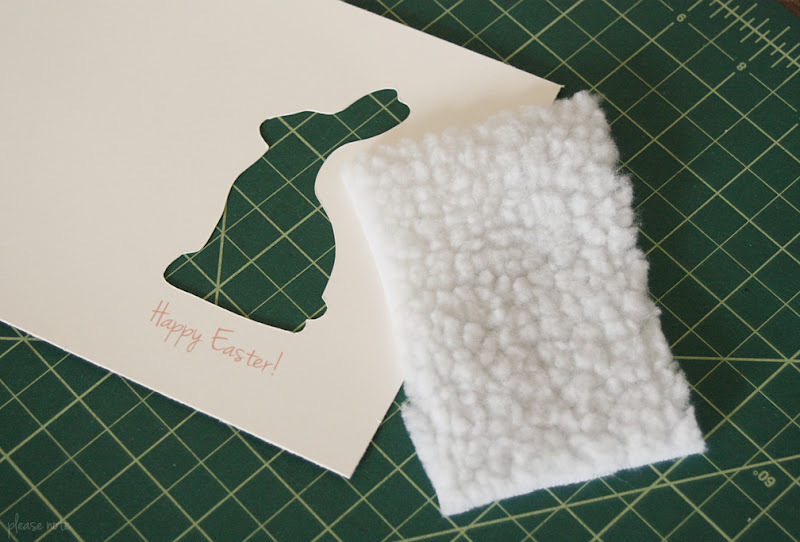 Use your x-acto knife to cut out the bunny. 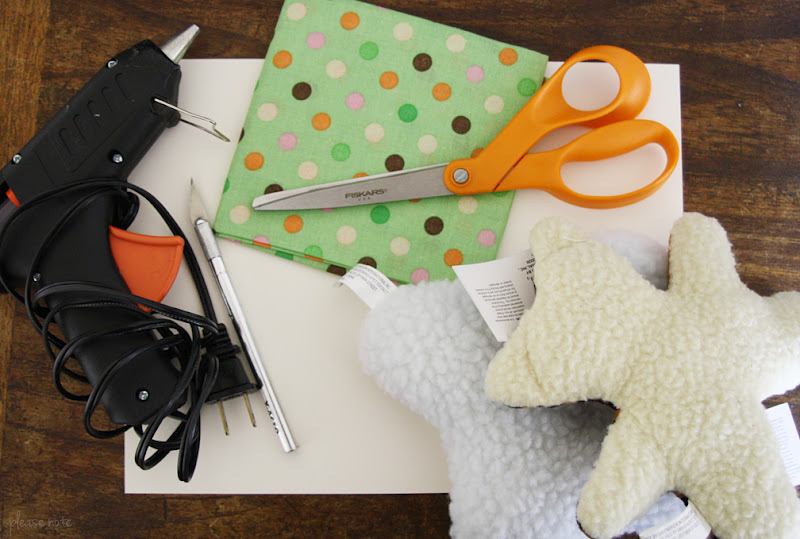 Now cut a square of fur from the dog toy and hot glue it to the inside. Cut your fabric to fit inside the card. Hot glue the corners. Glue the ribbon or bias tape around the sides to hide the rough edges. 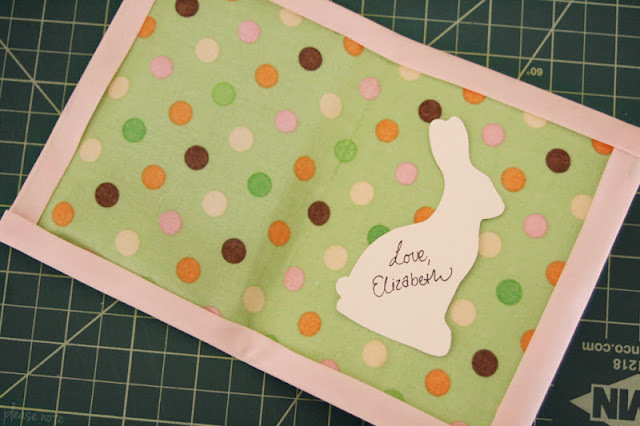 Now write a little note on the white part of the bunny you previously cut out and glue it to the inside. 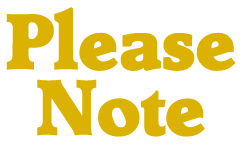 You might have to fold the card and keep it under a heavy book for a little while to ensure that it doesn't keep popping open. That's cute! I don't give out Easter cards myself but you've given me a good idea for an upcoming 3rd birthday I need to buy or make a card for. Good idea! You could really do this with any animal. This is so cute! I love how you added the fluff. How adorable! Such a good idea! Yay bunnies! Way too cute :) Thanks for sharing! So cute thanks for sharing. Of course! I might need to make some more of these now with different animals!